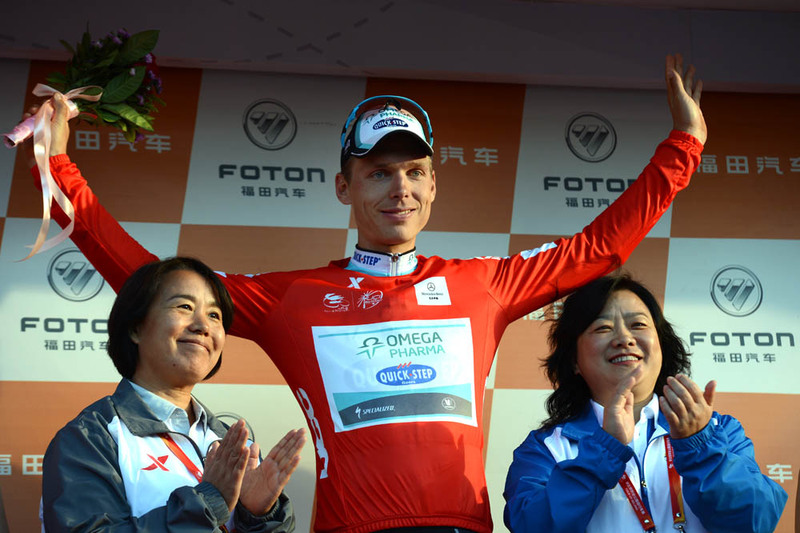 Defending Tour of Beijing champion Tony Martin (Omega Pharma-QuickStep) launched a long-range solo attack to win stage two of the 2012 race on Wednesday. The German takes over the overall race lead with three stages remaining. Francesco Gavazzi (Astana) led the chasers home at 46 seconds to take second, with Italian compatriot Eros Capecchi (Liquigas-Cannondale) in third at the same time. It was Martin’s first non-time-trial stage win since winning a stage of the Tour of Switzerland in 2009, where he also won the mountains classification. An early escape group consisting of Mathias Frank (BMC), Maxim Belkov (Katusha), Jose Ivan Guitierrez (Movistar), Juan Manuel Garate (Rabobank) and David Tanner (Saxo Bank-Tinkoff). 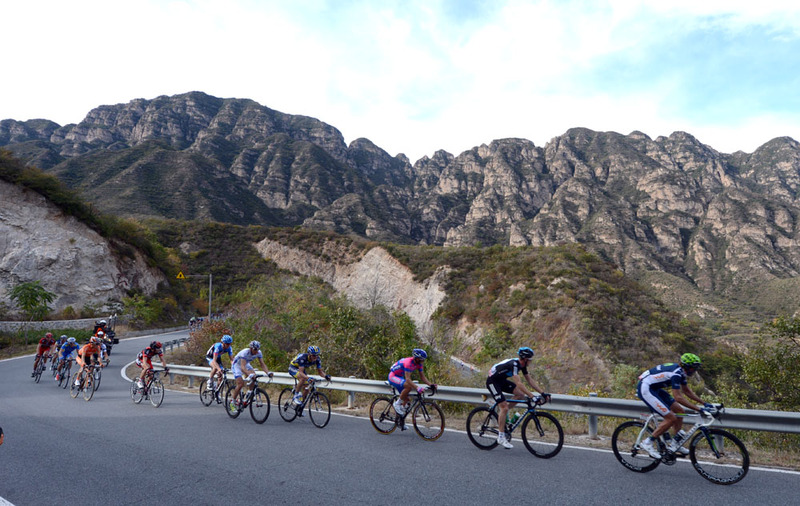 The five-man move gained just over three minutes before being pegged back on the first categorised climb of the day. Irishman Daniel Martin (Garmin-Sharp) showed his hand on the climb, riding off the front and grabbing maximum KoM points. Behind, the bunch had broken apart. By the second categorised climb, a lead group of riders including of defending champion Tony Martin (Omega Pharma-QuickStep), Ryder Hesjedal (Garmin-Sharp), Edvald Boasson Hagen (Sky) and Samuel Sanchez (Euskaltel-Euskadi) had begun to work hard. Tony Martin then jumped clear on the descent of the second categorised climb, slipping into time trial mode and creating a considerable gap between himself and the chasers, who appeared to be more concerned with looking at each other rather than working to catch Martin. With 20 kilometres to go, only seven riders were left in the chase group with a second group behind them. Time trial world champion Martin was not going to be caught, and only extended his gap over the following pack and will now be a hard man to beat in the final WorldTour race of the season. Frenchman Steve Houanard (Ag2r) was a non-starter after failing an out-of-competition test for EPO on September 21, the result of which was announced by the UCI after stage one on Tuesday. 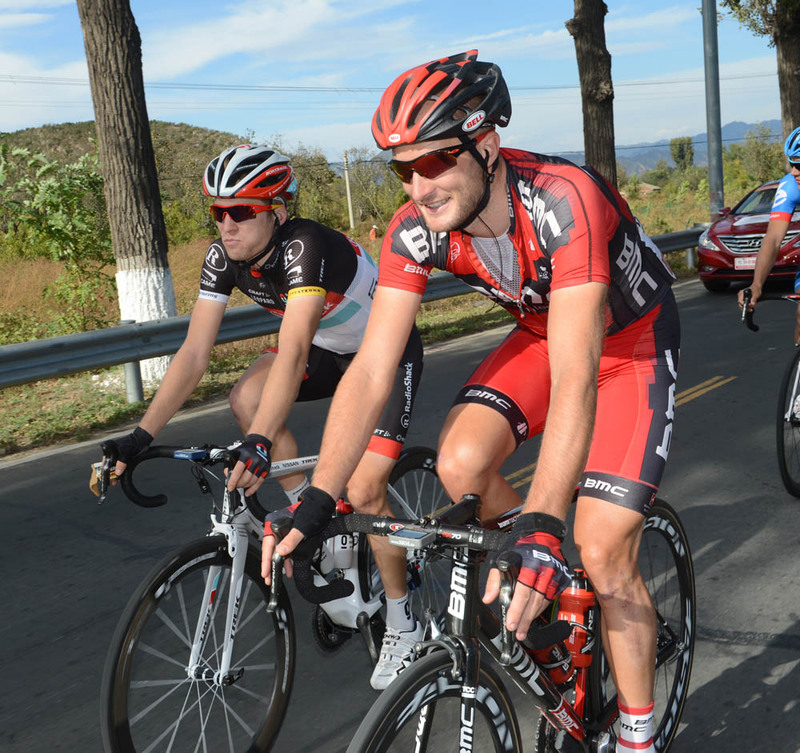 The 2012 Tour of Beijing continues tomorrow with stage three, starting in Men Tou Gou and finishing at Badaling Great Wall after 162.5km.